Haunted by guilt and reeling from his shattered marriage, New York photographer Ethan flees south to a Central American country on the brink of revolution. Ethan doesn’t know if he’s seeking redemption or punishment, but—one bad choice after another—he finds himself indebted to Yolanda, who gives him a chance, if anything she’s saying is true, to find both. Yolanda’s sister is deep in the country’s interior, waiting for a man named Soto—a slave trafficker posing as a migrant guide. The journey to find her plunges Ethan into a feverish world of demented expatriates, intelligence officers, mystics and lunatics, where loyalties are uncertain and ghosts unshakable. 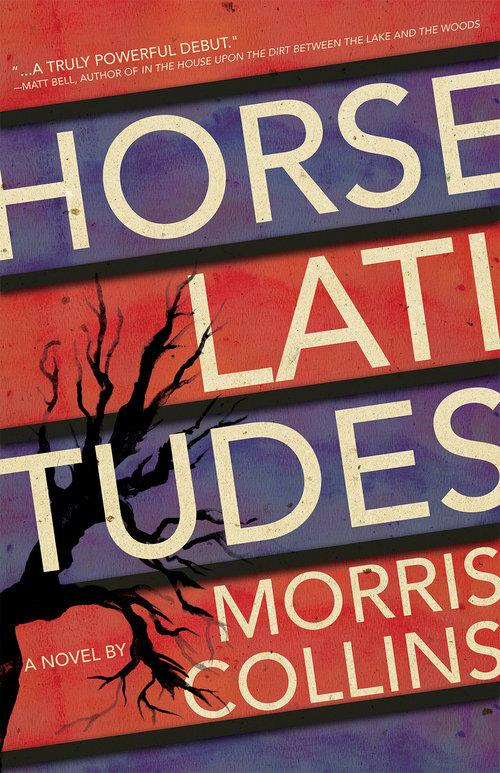 A harrowing examination of post-colonial blight, Horse Latitudes is a lushly written tropical gothic—part thriller, part nightmarish journey into the corruption at the heart of US intervention in Central America.